When we first started collecting antique ephemera, drug related vintage paperbacks were one of our first loves. 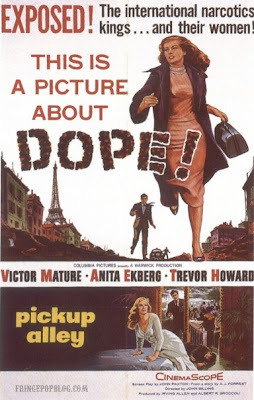 Of course, we moved on from there to any drug related detective or men's magazines and then to drug-related vintage movie posters. We don't own the elusive "Reefer Madness" poster, but this is pretty cool.